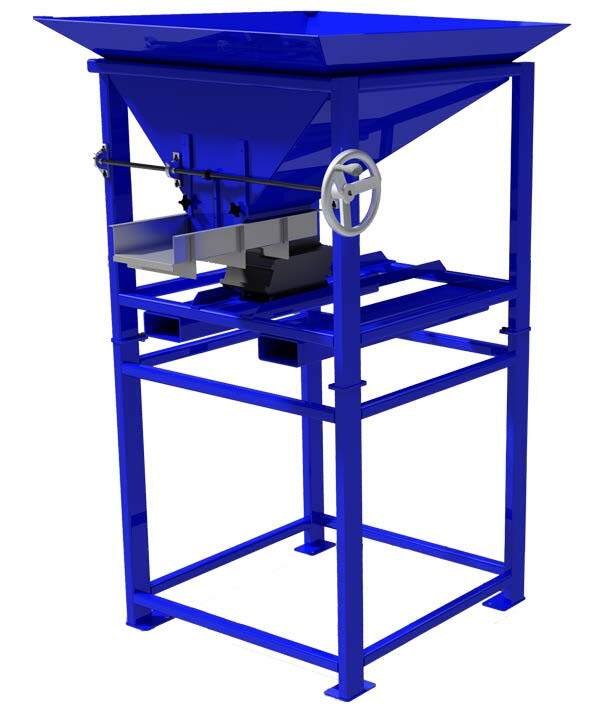 Built out of steel, this bulk feeding hopper is the perfect feeding solution for our inspection machines as well as any feeding application. 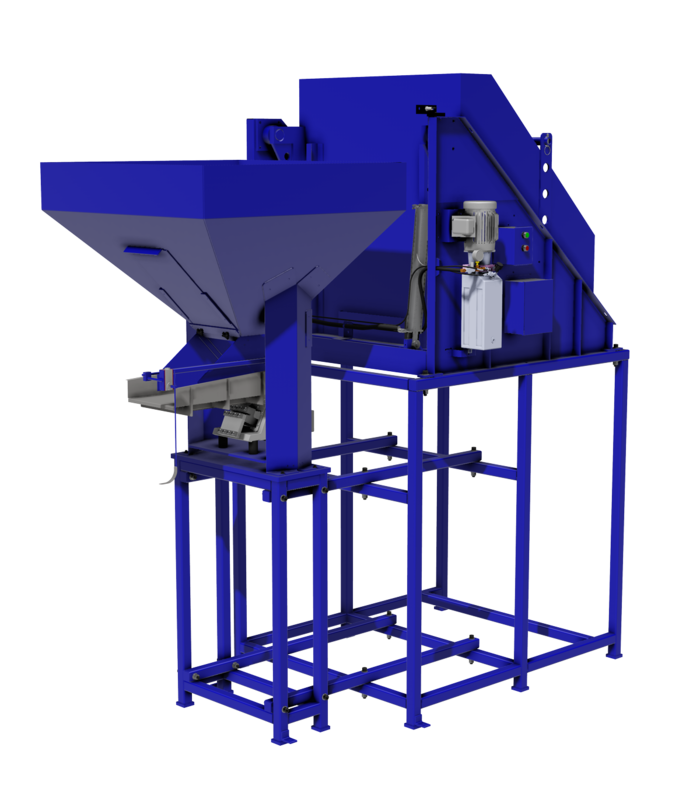 Our Bulk Feeding System are also tailored to fit the loading processes you have in place including 4×4 metal bins, dumping fork lifts, small lot, and more. The AF-H100 was built off the AF-G100 Platform as it also uses the same steel construction for a solid feeding solution. 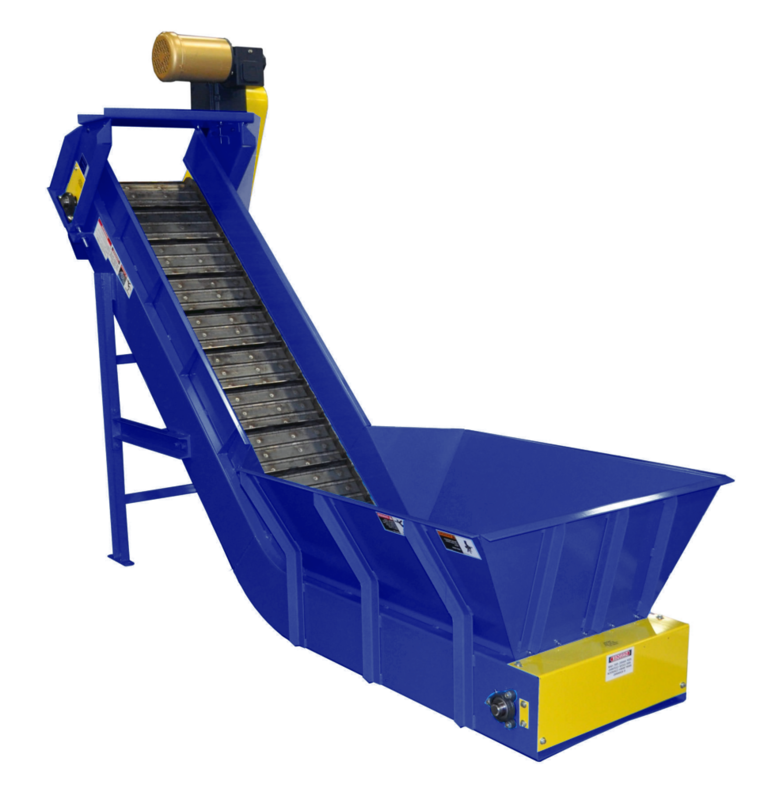 The largest difference with the AF-H100 is a hydraulic driven loading system designed to handle large quantity bins. This advantage allows you feed your system without increasing costs for custom dumping bins or self dumping fork attachments. Everyone has those parts that just don’t fit into the normal form. Trying to feed them the same way does not always work. 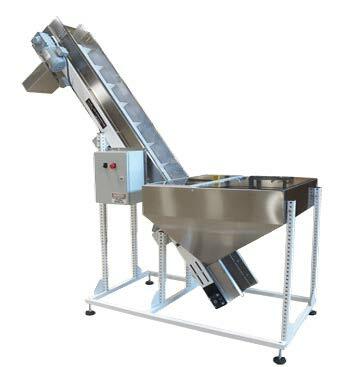 For those applications, we have the AF-C100 Bulk Feeding Conveyor. 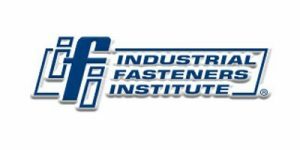 This system can be customized to handle a variety of parts as well as feed sensitive parts that are prone to dents and damage during the feeding process.